Gracia Hillman is Vice President for External Affairs at Howard University in Washington, DC. 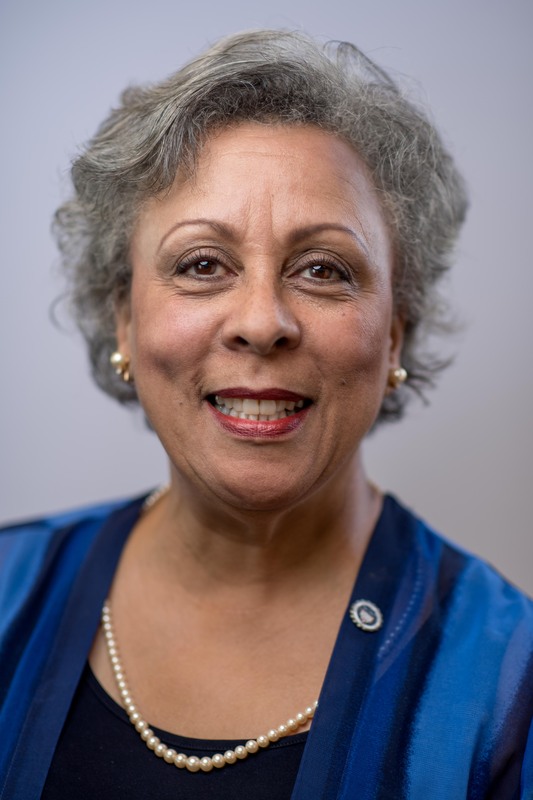 Her areas of responsibility include executive oversight of government affairs, community relations, and the university’s Andrew Rankin Memorial Chapel. Ms. Hillman’s career includes having served as Chair of the U.S. Election Assistance Commission, President and CEO of WorldSpace Foundation, Senior Coordinator for International Women’s Issues at the U.S. Department of State, and Executive Director of the League of Women Voters of the U.S., the Congressional Black Caucus Foundation and the National Coalition on Black Voter Participation. Ms. Hillman’s global experience includes travel to several countries in Africa, Asia, the Caribbean and Europe working with government officials and local non-governmental organizations (NGOs). She served as an official representative of the United States government at conferences and meetings convened by the United Nations (UN), Organization of American States (OAS) and Organization for Security and Co-operation in Europe (OSCE). While at WorldSpace Foundation, she oversaw the creation and production of the Africa Learning Channel, providing first-voice social development and educational programming to Africa through satellite radio. Ms. Hillman also served as co-chair of the 2005 World Conference on Cabo Verde. Ms. Hillman believes in engaged communities and is committed to voluntary service. She has provided leadership as an officer and director of numerous nonprofit boards of directors and government commissions. She is also a member of the National Association of Parliamentarians.